Sesame Street continues to stay relevant to the pop culture discussion by appropriating prestige drama series for humorous educational sketches. The Mad Men parody is still a work of pure genius, as are Birdwalk Empire and Upside Downton Abbey. 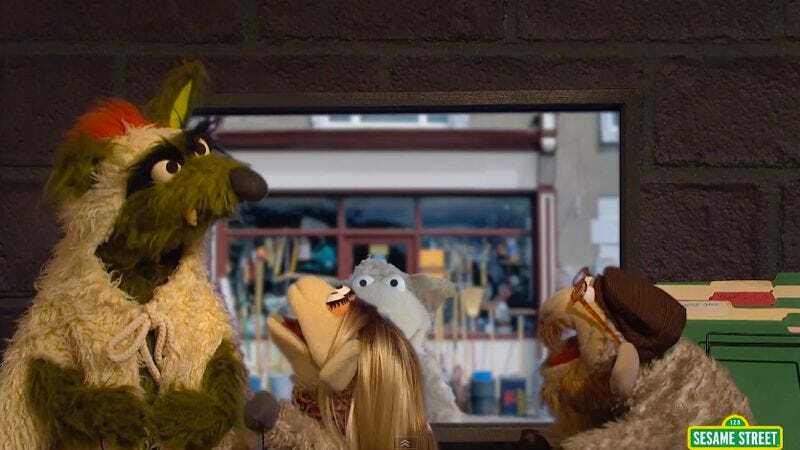 Now the educational program sets its sights on Homeland with Homelamb, a sketch about sheep secret agents trying to locate the Big Bad Wolf. Sheep Carrie is as hyperactive as ever, attempting to expose Agent Ba-a-a-rody as a wolf in disguise, refusing to have the wool pulled over her eyes (and a bunch of other sheep-related puns). She’s at once drawn to his luxurious ears and beautiful fangs, but so intent on proving he’s a wolf—the same bipolar intentions that Claire Danes exhibits in her performance. It’s a hilarious sendup of the show’s main romantic plot combined with the Biblical fable. Also, after seeing a sheep puppet version of Saul, perhaps it’s time Mandy Patinkin’s Officer George showed up again on Sesame Street.